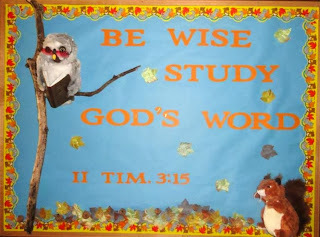 These bulletin boards are from my niece Nicole Whitacre and she is allowing me to share her ideas with you! Thanks, Nicole! I have copied and pasted her notes and directions. The door was made by one of our deacons. The inside of the door is paneling that he painted, and then the door is made from a thin piece of plywood. Next, he put trim around it. We then put the big Googly Eyes inside. 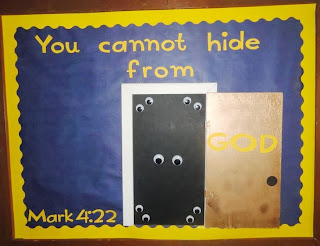 I found the idea from Pinterest for this board and added to it. 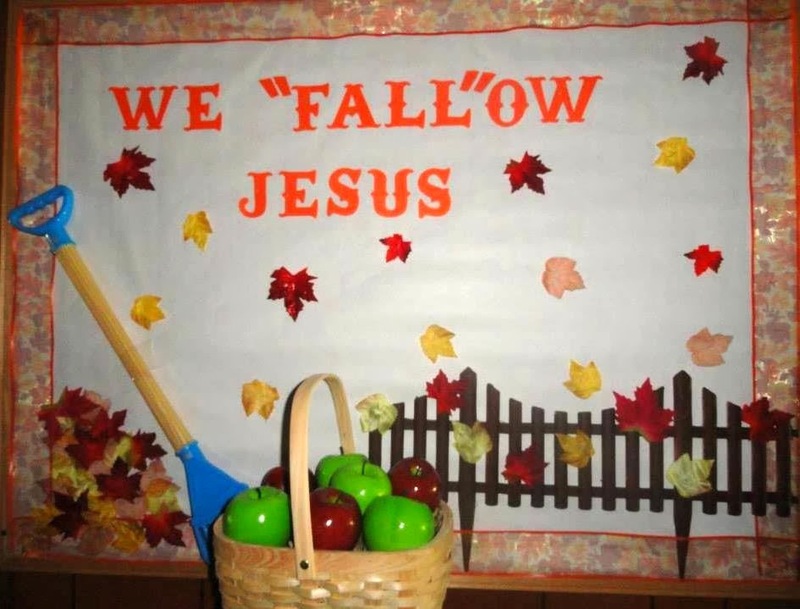 The border, leaves, apples, and rake are from the Dollar Tree. The basket is from Michael's. I found the owl at a yard sale but it is a Webkin and the squirrel is also a Webkin. The leaves I purchased at Dollar Tree. The glasses are my daughters that she had gotten at Build A Bear. I used a small Bible that we put in the owl's wings. We gathered the acorns and the limb from a tree. I purchased the crow at Dollar General last year at the end of the season. 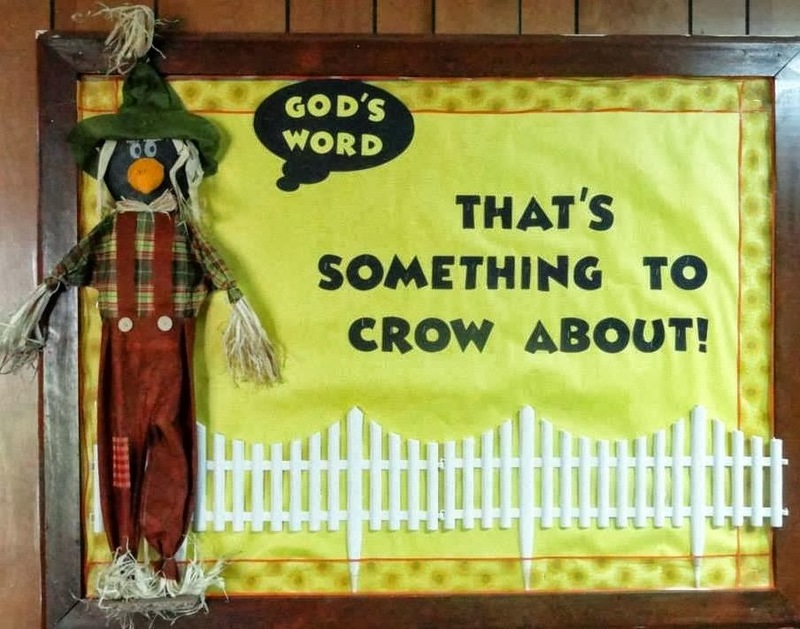 I knew that it would make a great bulletin board. I also found the fence there, also. It is two fences that are interlocked. The ribbon border is also from Dollar Tree. Hello, Melody, I am so glad you stopped by! I would love it if you share the blog links! I appreciate it and wish I was closer to your store so I could visit! Looks great! Thanks again for sharing the blog!